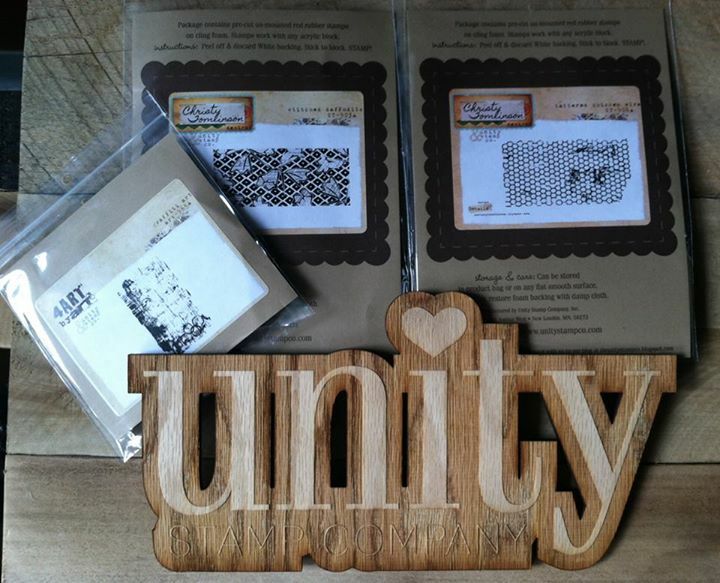 RWKrafts: Unity Hop - New Challenge! 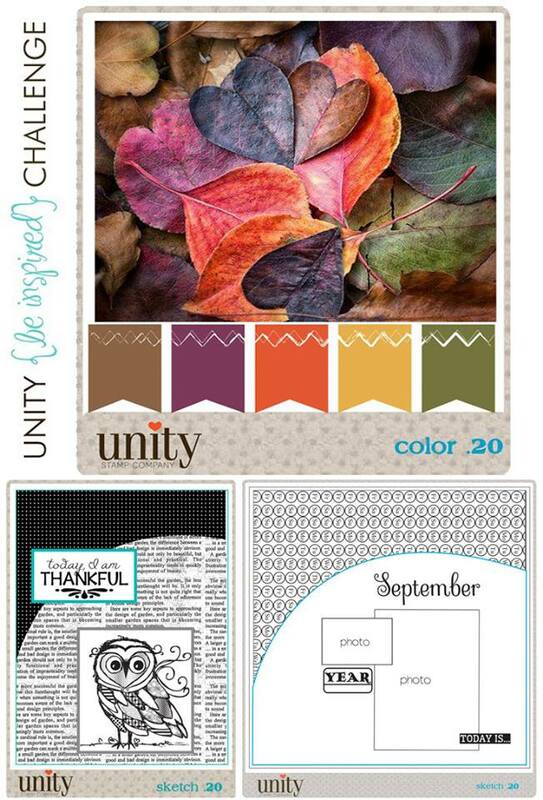 Welcome back to another Unity Thursday Hop! 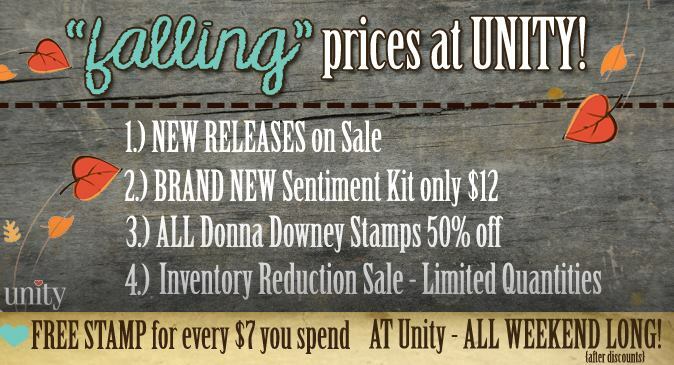 It's a busy day in Unity land, as we have great sales, a new Unity Be Inspired Challenge, and a brand new sentiment kit... and prizes, of course! Make sure once you're finished with the hop, to stop by the Unity challenge here! 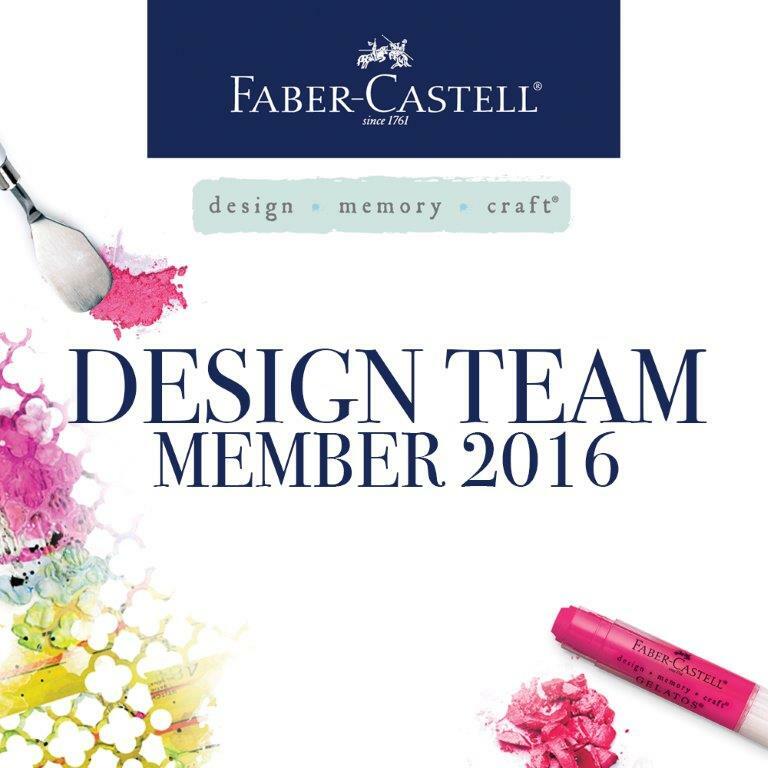 We have a lot of inspiration to share, and more details on how you can enter your project! The winner gets a HUGE prize package AND they get to be our guest hopper for the month! 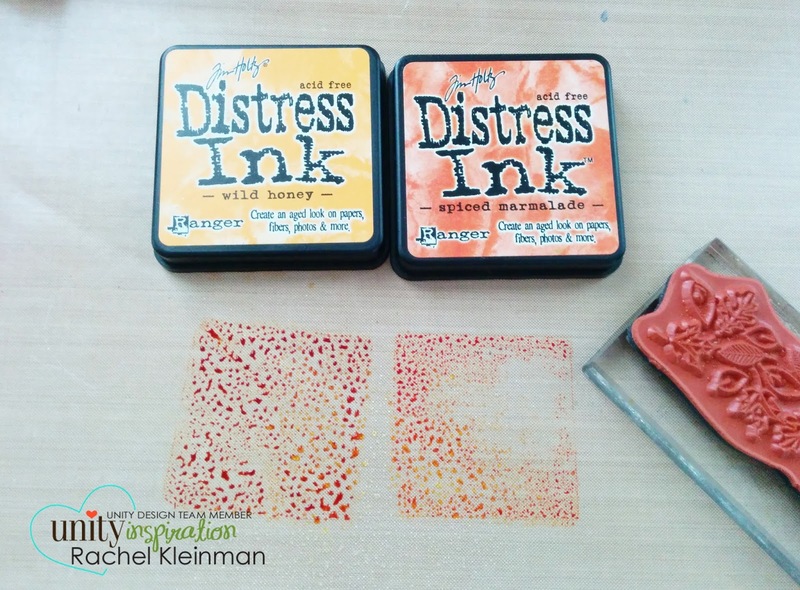 Step 1 - Stamp distress inks directly onto your craft mat. I used "Wild Honey" and "Spiced Marmalade". Then mist the inks with water. Step 2 - Dab your stamp into the inks on your craft mat. 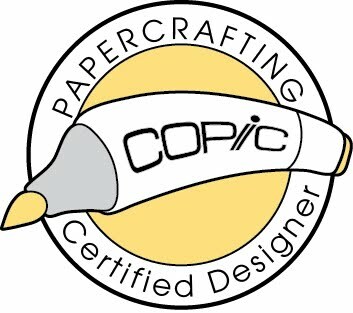 Then repeatedly stamp onto your cardstock. Step 3 - Repeat as many times as you want. You can usually get 3 stamp impressions from one 'dab' in the ink. The result is a watercolor look with the leaf images peaking through. In the finished card, I placed a layer of vellum over the panel. Now time to share the sales! 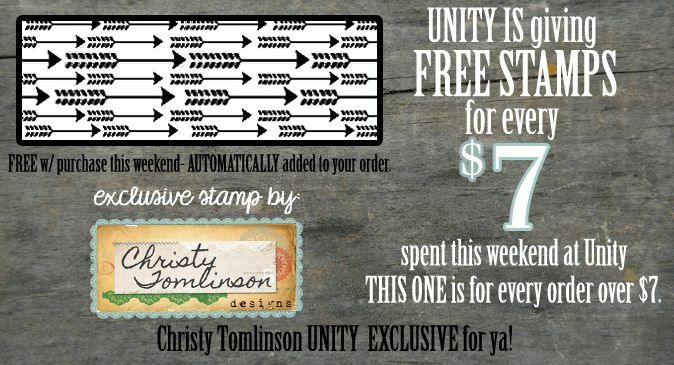 It's a good one this week, so get shopping! 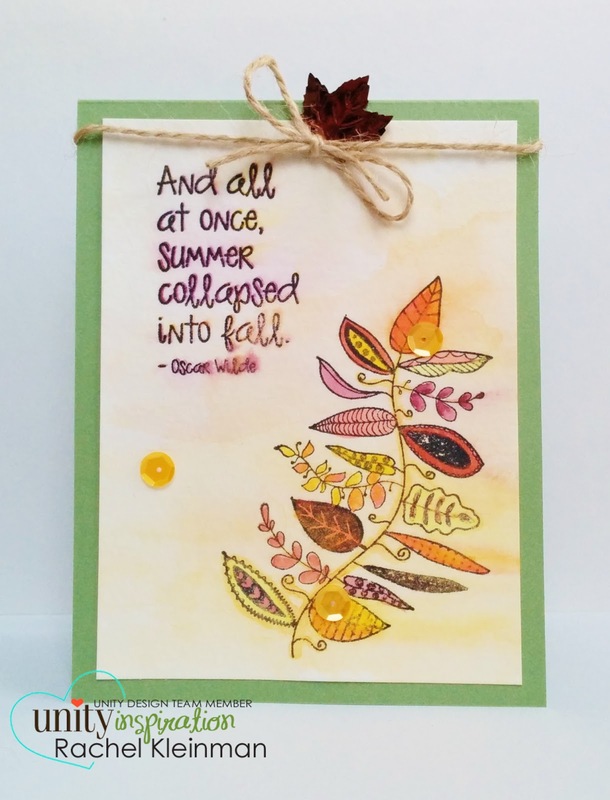 Pretty cards - love the "collapsing into fall" sentiment.. Thanks for the technique tip...can't wait to try it. Love both of these Rachel. Both of these are so pretty! 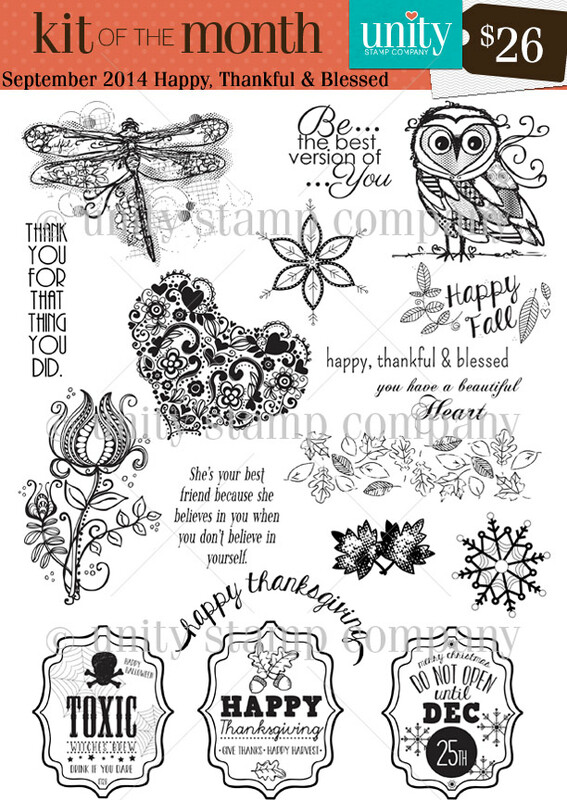 Love how you did the background with the distress ink...wonderful! Yay! More techniques to try tonight! Thanks for sharing...I love your cards! your card are too fun and cute. Simply beautiful. Love the technique. 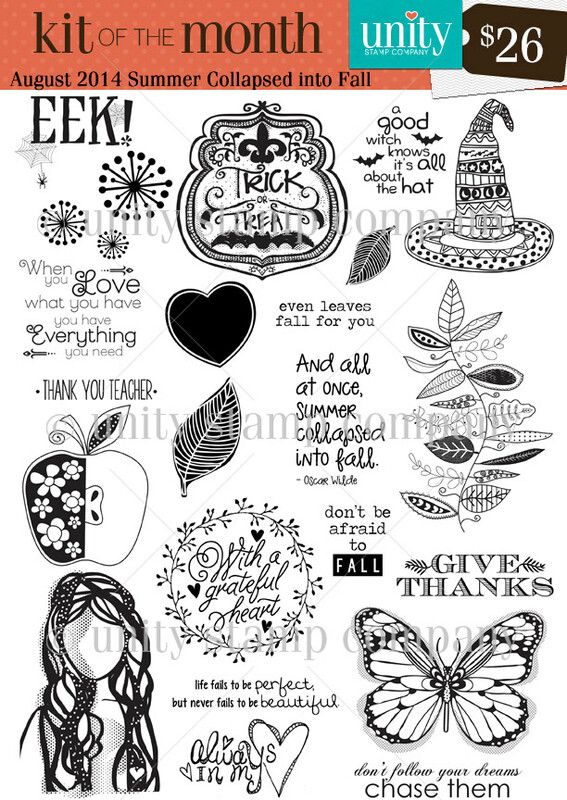 Your cards are perfect for fall inspiration! 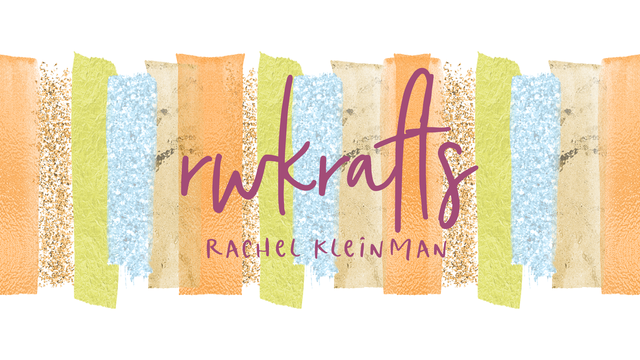 Your love for crafting really shows in your art. Lovely showcase. Beautiful cards! Love the sentiment on the first! 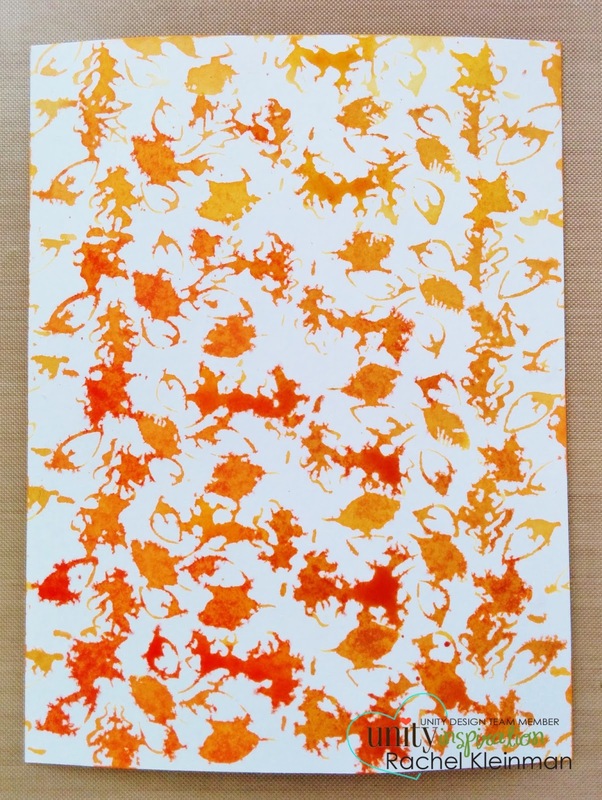 Thanks for sharing how you made the background! 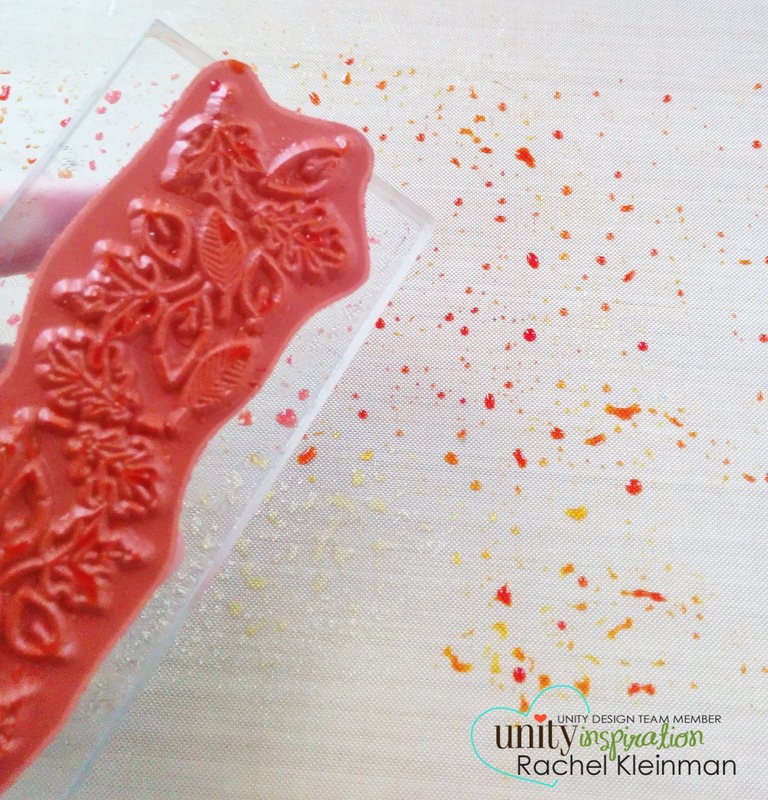 What a fun technique and it turned out gorgeous! Absolutely love your funky leafed sprig card and the inky/leafy background card is great! I am so ready for summer to collapse into Fall. So ready in sunny 100 deg No California! Lovely creations!